celebrating the gathering of designers, makers and farmers who are adapting to the digitised world. When: From Monday, July 30th to Friday, August 3rd. Agriculture is a key activity in the peripheral and less-developed regions of the EU and a crucial productive sector. It is a field in which ready-to-apply open source hardware and software solutions have already been produced and, thus, can be implemented and improved. Considering the fragmentation of the existing abundant open source projects in relation to agriculture, the replication, sharing and improvement of solutions is hindered. To facilitate interaction and create feedback loops among makers, designers and farmers, the P2P Lab is organising this 5-day event in Ioannina (Greece). 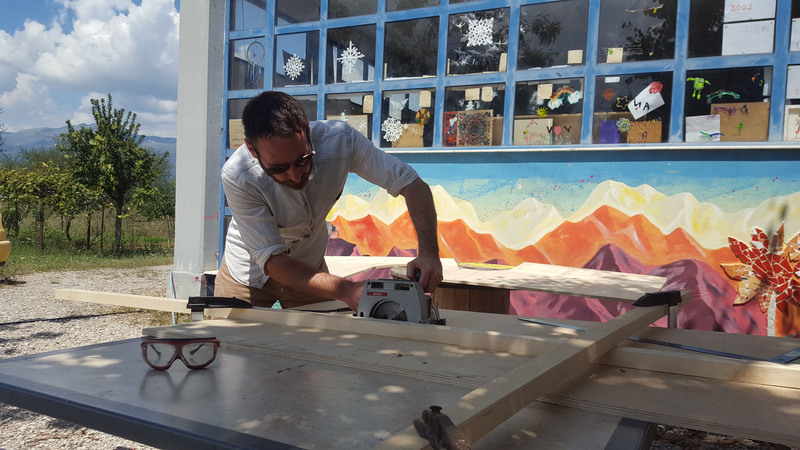 The event will be hosted at Habibi.Works, a makerspace for asylum seekers and Greek locals in Katsikas (Ioannina), managed by the German NGO Soup and Socks e.V. Since 2016, Habibi.Works is operating eight workshop areas which serve as platforms for mutual education, empowerment and encounter. The main aim is to familiarise the local community with open source technologies developed within the EU and, ideally, connect hubs (e.g. Fab Labs) that provide technical infrastructures for development. This may create a network of open source software/hardware communities and local farmers that overcome barriers through knowledge diffusion and collaboration for their mutual benefit. André Rocha, Adjunct Professor at ESELx – IPL and a Senior Product and Interaction designer. Angelos Pappas, Software developer and activist. Jonathan Minchin, Coordinator of the Green Fab Lab at Valldaura Labs, IAAC Campus in Barcelona. Trifonas Papaioannou, Maker and beekeeper. Currently, the P2P Lab aims to create awareness and promote an emerging collaborative productive model of agriculture, based on the conjunction of commons-based peer production with desktop manufacturing. The selection of the designers was informed by the following criteria: Does the solution create value for small-scale farmers and society? Does the solution express empathy to user needs? Is the solution visionary and paves the way for others? The workshop will be open for everyone so we hope you join us there.